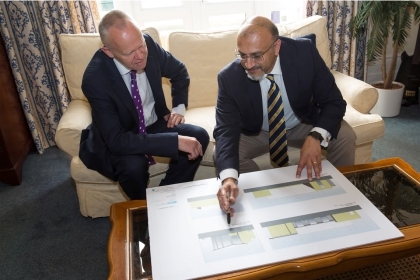 With our centenary on the horizon, we are planning a major, capital project, which will transform the school and better equip us for the future. Now is the perfect time for a far-reaching development. Bickley Park School is thriving. The past three years have seen an increase of 20% in our pupil numbers. 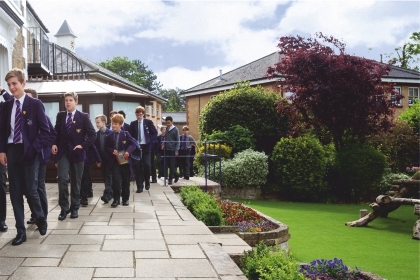 With demand for places rising, the school remains committed to maintaining its reputation for academic excellence and sporting achievement. Our aim is now to develop further creativity and promote the arts at the same time as connecting our pupils to the wider community. So we need a new performance space to provide our boys with greater opportunities and to ensure we remain at the forefront of education. This will mean taking down the old theatre and creating a strikingly designed new building. Our centenary vision is to create a stunning new Performing Arts Centre. The confidence and ability to communicate clearly and effectively is a life skill that is vital both now and in our children’s future lives. Through participating in multiple performance opportunities and an enhanced performing arts curriculum, Bickley boys will stand out as confident, engaging individuals who know how to make the right impression on others. Bickley Park School intends to place itself at the heart of the community. The Performing Arts Centre will open its doors not just to Bickley Park boys but to children from a range of communities. Evening, weekend and holiday usage by a diverse range of performing arts groups will demonstrate the school’s commitment to the wider community and provide our boys with the opportunity to work collaboratively with others, developing still further the all important ability to forge positive relationships, while unlocking their creative potential.